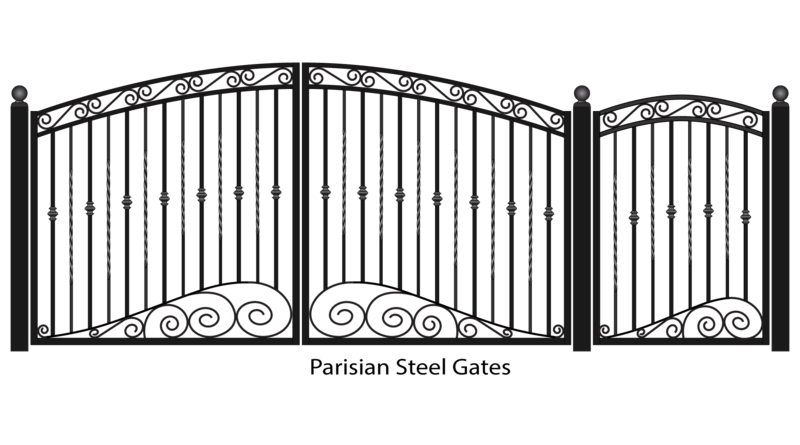 Steel Gate, wrought iron gates and metal fencing. These are some of our fencing styles. Choose a design from below, or send us a picture. Let us know the scope of the work and we will quote your job. We also stock and install BFT or VDS Italian automatic gate motors to go with our gates. We can do most of these designs with slight variations in either galvanised steel tube or solid wrought iron. Below are steel tube prices. Wrought iron tends to be approiximately 50% more expensive. 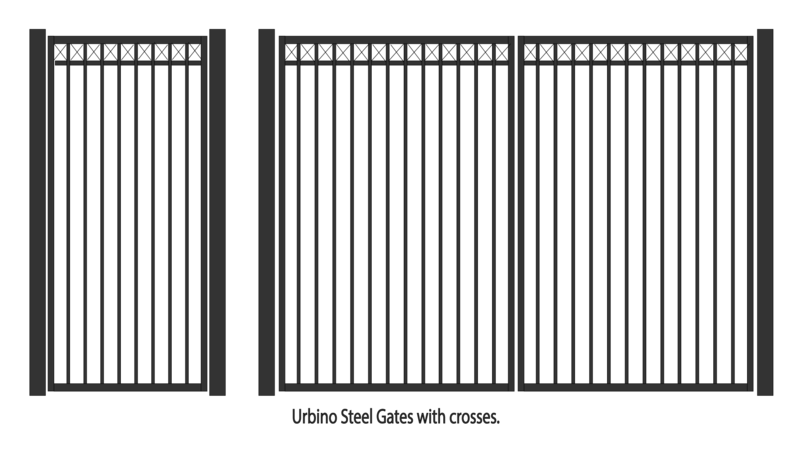 As a rule, steel tube bars are 19x19mm and solid wrought iron bars are 16x16mm. If Gate Automation is required. Gap between posts or pillars. In Melbourne, we will measure your fence before fabrication. If you are ordering from elsewhere, you will need to provide accurate measurements. We will then fabricate your order once the deposit has been paid by bank transfer or credit card. Orders usually take 3-4 weeks. Steel gates and fence panels, and galvanised metal Entrance Gates and wrought iron gates. 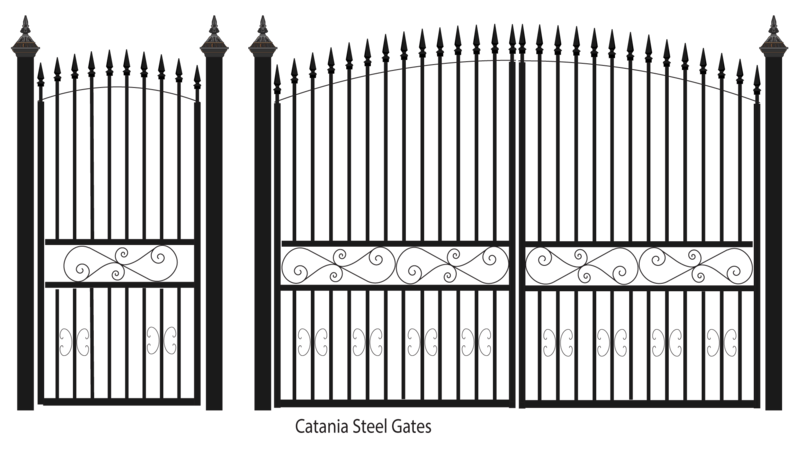 Steel gates are manufactured from steel tube and wrought iron gates are solid steel, and hung from masonry piers or metal posts. They can be sliding or swing gates, pedestrian or driveway. 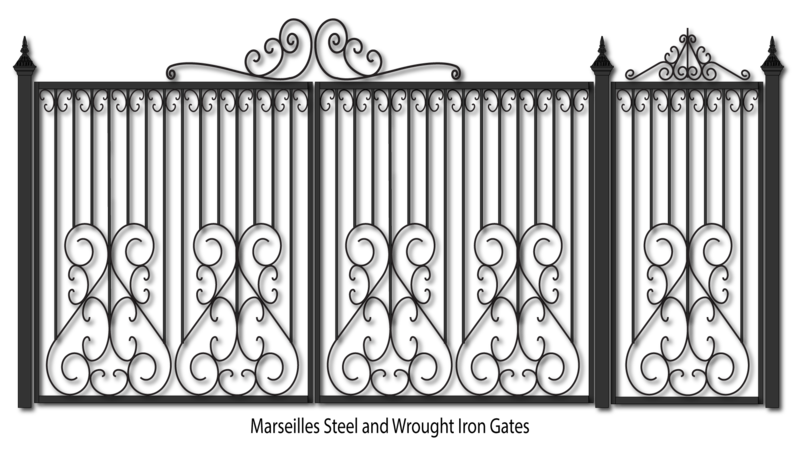 All of our steel and wrought iron gates are fabricated in our factory in Williamstown, and can be installed by us across Melbourne or shipped Australia wide. You are welcome to drop in and see the process. We can custom scroll, twist bar and fabricate baskets to your design. Joints are welded, then the solid steel gates are primed before powder coating to the colour of your choice, but Black is traditional. They can be built with a sheet metal plinth or be open picket. Hinges are engineered to take the stresses of these sometimes heavy gates. All gates are compatible with our automatic gate opening systems see our automatic gates page) We can design and manufacture a gate solution which suits your needs, whether Residential or commercial. Choose a colour below or go to the Dulux powder coat colour chart. Copyright ©2005 David English. All rights reserved.